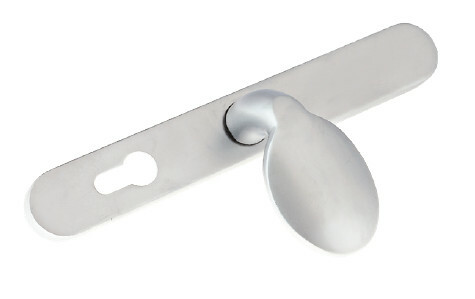 Lever Pad Door Handles, Suited to our Espag Handles - DGS Group Plc. 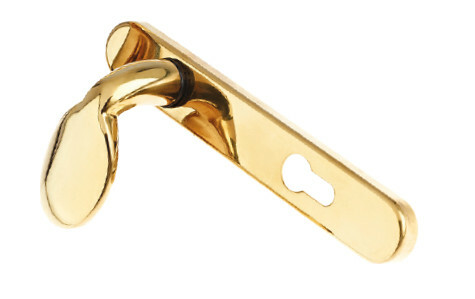 These lever pad door handles offer an attractive looking product. The handle offers an ergonomic design with no compromise on grip length. It has been manufactured to an extremely high standard which offers outstanding product performance. Incorporates patented spring cassette which eliminates the ‘drooping handle’ effect. Different back plate variants available to suit most locks. 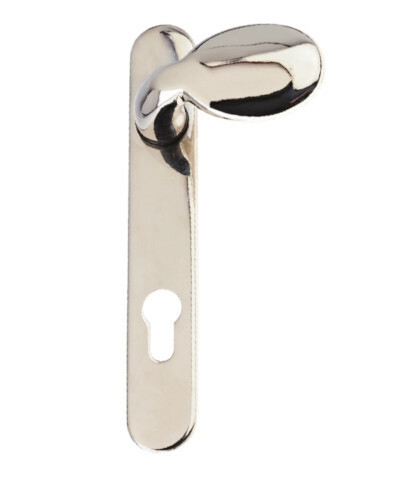 Available in a full choice of finishes which includes Gold (PVD), Polished Chrome, White and Black. Other finishes available upon request. 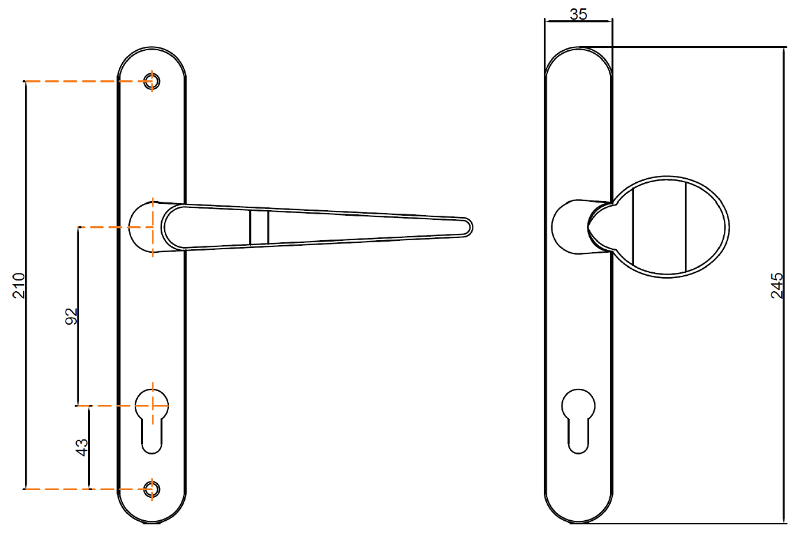 Supplied complete with spring cassette, fixing screws and spindles to accommodate all door thicknesses. Guarantee – 10 years for mechanical. Corrosion tested to BS EN 1670. Painted finishes Grade 5, plated finishes Grade 4. Abusive load tested to BS 6462. Cycle tested to 50,000 cycles. Zinc/aluminium die cast components – ZL2. 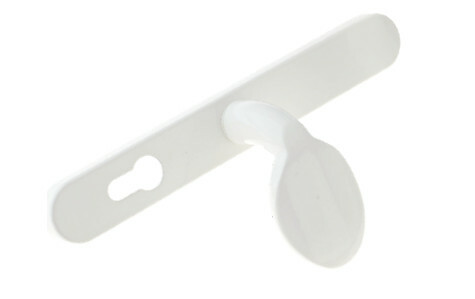 Plastic parts – Nylon 66. 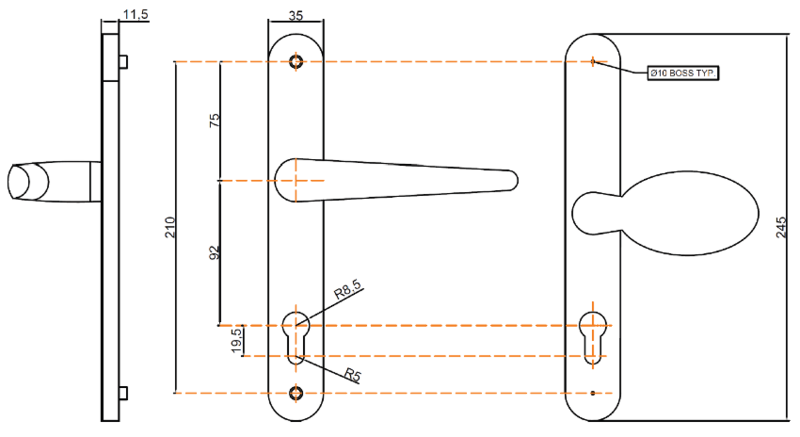 Door Thickness 58mm, 70mm and 44mm. 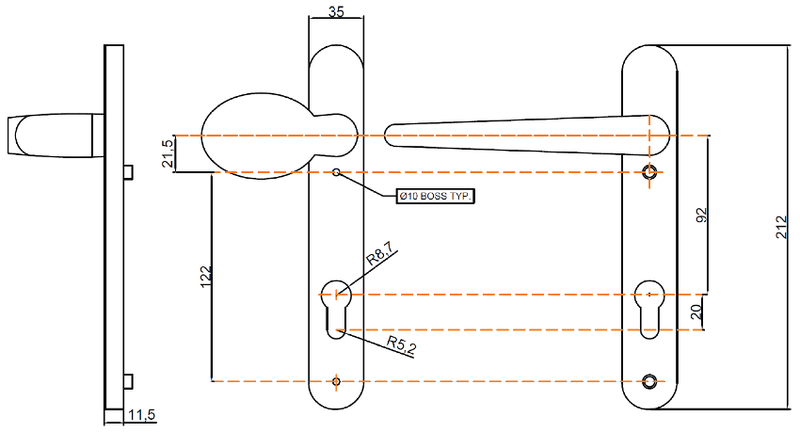 Cylinder aperture – Standard Euro cylinder.